Ultimately the best place for a child is in a loving home with parents and family of their own. But for many children around the world that is not possible. We strive to help give the child the best chance for life and a better future by working with the orphanages below to give food, shelter, medical care and an education. Learn more on The Father’s House – Ukraine — Coming Soon! The purpose of the clinic is to meet physical needs as RHFH understands it is a Biblical mandate. It is RHFH’s desire that any work we accomplish to meet medical needs of an individual will allow us the opportunity to promote the Gospel of Jesus Christ. 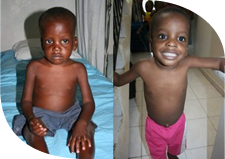 The Clinic is an outpatient clinic in rural Haiti that is operated by Real Hope for Haiti. It provides a variety of medical services to the surrounding communities. These services include, but are not limited to, health care education, preventative medicine, pre-natal care, primary care (including treatment of infectious diseases, hypertension, diabetes, malnutrition, etc. ), limited emergency services, minor surgeries, wound care, as well as limited lab services. The clinic also dispenses medicines required for the treatment of the illness that is presented. 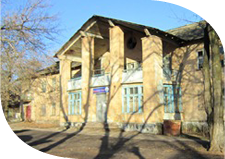 If the clinic is unable to treat a patient due to the complexity of the case or lack of resources, the clinic refers the patients to a larger regional health center.